This review is about item#5504694. This review is about item#5504712. It is used when installing various metal fittings. It is handy because it is thin and firm, and cost can be kept low. This review is about item#5504703. It is used to fix parts. I can use it without problems as a screw. This review is about item#5505035. I buy when the Osaka soul is cheap. There is not much difference from the manufacturer's thing, there is no trouble. This review is about item#5504922. I attach a caster to make a cart of a management machine, but since the hexagonal part of the bolt becomes an obstacle, I used a countersunk head screw. The feeling of use was good. This review is about item#5505245. There is no problem with the product, since there are not too many kinds in the home center etc, the number is also sold less, so this item is helpful for selecting the number of items. This review is about item#05504737. It is ★ ★ ★ ★ ★. Purchased to fix the top board to the iron material of the foundation. I was able to come in handy with other parts. This review is about item#5504974. It was used as a guide for weld nut. I used it tightened with a screwdriver, but after welding the round bar it made it possible to tighten and loosen even without a screwdriver. This review is about item#5505211. 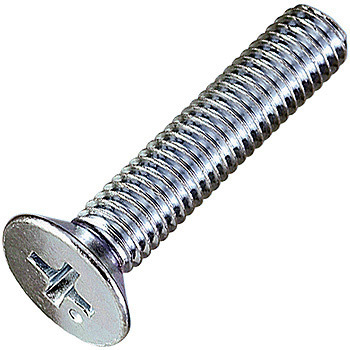 Thin and long screws, except DIY shop search, but also cheap, monaural purchase, purchase. This review is about item#5504737.